When you look at a phone as more than the sum of its parts, you start to see a sharp contrast within the Android ecosystem. With the Fourth behind us, we're officially in the heat of summer -- and we all know what that means: The smell of simmering new Android phones is thick in the air. Have you gotten a whiff? All sorts of devices are on the grill and in various stages of cooking right now, ranging from the smoke-whispering rumor phase (hi, Galaxy Note Whatever) to the mostly-cooked-but-not-yet-served point of preparation (paging Moto Zzzzz......oh, sorry -- nodded off there for a second). You know what, though? For the first summer in a long while, I'm watching it all from a safe distance. And, as has been the case since the start of 2016, I'm finding myself glancing at every headline regarding a new device leak, launch, or announcement -- and more often than not, simply shrugging and moving on. Crazy? Maybe. But even as a certified Guy Who Writes About Android™, it's increasingly difficult for me to muster up excitement over most new smartphone hardware that comes along these days. The reason's simple: More and more over time, the software, ecosystem, and overall user experience have become far more important pieces of the puzzle than the vessel itself. As I said when explaining my decision to step back from smartphone reviews earlier this year, it's after you get a device in hand that things really start to get interesting to me. And that's why I've reached a point where Google's own Nexus phones are the only phones I wholeheartedly recommend to my own friends and family (at least the ones who are brave and/or deranged enough to ask for advice). Let's be clear: I couldn't have been so bold about this stance even a few short years ago. After all, 2014's Nexus 6 was the first Google-issued phone that worked universally across all major U.S. carriers. And last year's Nexus 6P marked the first time Google found a way to create a device in which the hardware compromises are truly minimal and yet the cost is still far less than what you'd pay for most comparable high-end flagships. It all comes down to that "vessel" thing I mentioned a minute ago. With the software, ecosystem, and overall user experience being the highest priorities in my eyes, the device itself (once a certain standard of quality is achieved) becomes a mere vessel for those elements. And the best thing a vessel can do is get out of the way and allow those core elements to shine -- without screwing them up. Nearly every device other than a Nexus fails at that mission. Part of the problem is the user interface and most Android manufacturers' ever-present insistence on changing things for the mere sake of change. That tends to result in a disjointed and confusing experience in which graphical styles and even navigation methods are wildly inconsistent throughout a device, with the manufacturer's customized elements clashing with the rest of the Material Design-compliant Android ecosystem. Design standards exist for a reason -- something that's painfully apparent when you compare the holistic Nexus experience to that of a device that muddles things up and disregards the rest of its ecosystem's appearance. Another part of the issue is the number of confusingly overlapping apps and superfluous services that tend to get larded onto non-Nexus Android phones. It's become a bit of a joke among those of us who follow this field closely, but having multiple voice assistants, app stores, and browsers on a phone by default (along with oodles of other clutter-creating bloatware) just doesn't make for a great out-of-the-box experience. Now, do most typical consumers actually think about that stuff? Maybe not in any overt sense. But by design, things like user interface and user experience shouldn't be things you actively think about. That doesn't mean, however, that they don't have an impact on what it's like to use a device. Quite the contrary. And while malware isn't a realistic concern for most Android users these days, monthly security patches are certainly valuable to have. There, too, Nexus phones get 'em fast and frequently while many other devices lag behind or never get updated. These factors all serve as major asterisks to product purchases -- and as our focus shifts more and more to the areas of software, ecosystem, and user experience, they're asterisks that are increasingly difficult to ignore. When you stop and think about it, all of this actually makes an awful lot of sense. Most phone manufacturers make their money by, you know, selling phones (duh, right?). And so not surprisingly, selling phones becomes their primary focus. Providing timely updates takes a lot of effort and doesn't directly encourage consumers to go out and buy the latest model -- something that would generate immediate fresh revenue. Google, on the other hand, makes its money by encouraging you to spend time using the internet and thus its various web-based services. It isn't looking to turn a profit by selling hardware; it's looking to make the Android experience as good as possible so you'll use your device as much as possible (which in turn means you'll provide more data that'll let Google show you more and better-targeted ads throughout the web). The business model tells you everything: Google's overarching goal with a Nexus device is to provide a spectacular ongoing user experience -- a goal that, understandably, no other company hawking hardware fully shares. 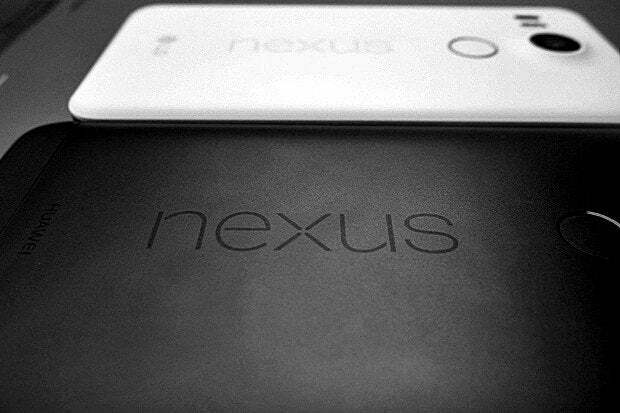 Now, all of that isn't to say a Nexus device is the end-all right choice for everyone. There are plenty of exceptions -- a yearning for the absolute best of one particular component over any cohesive whole, a desire for some specialty component like an integrated stylus, or a budget limitation that requires you to look at an even lower-cost tier of device. There are perfectly valid reasons to prefer one model over another, and that level of choice has long been one of Android's most distinguishing qualities. But we're reaching a point where those sorts of specific needs are more the exception than the rule. Most people are just looking for good overall experiences with their mobile devices -- both out of the box and continuing over time. That's why when someone asks me for a general recommendation -- what device they should buy for the best all-around Android experience available -- Nexus is now always where I point them first. Because for most people, a phone today is much more than the sum of its parts. And when you look at this ecosystem with that perspective in mind, it's pretty clear that Nexus products exist in a league of their own.